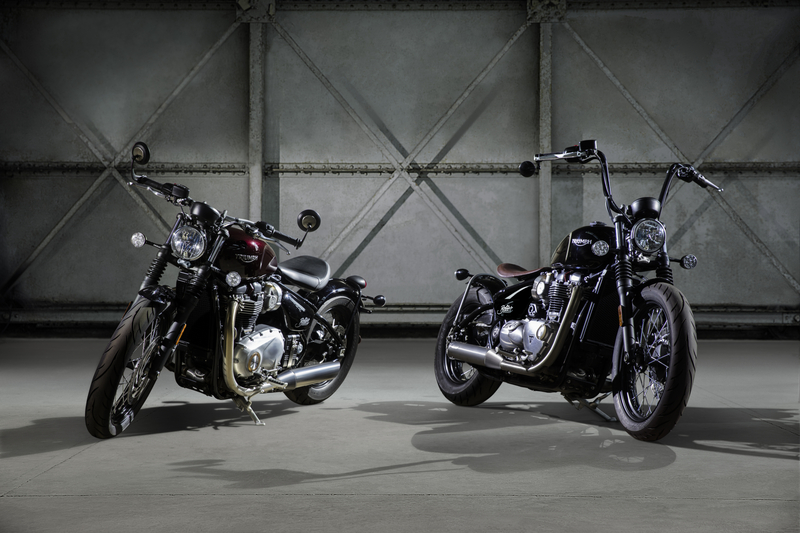 Triumph, the much-loved British motorcycle manufacturer, has just unveiled the latest addition to its model line-up: a muscular Bobber version of its legendary Bonneville. Due to hit showrooms early next year, the ‘Bonny’ Bobber could be a game-changer for Triumph, as it veers wildly from the established line-up and appeals to the burgeoning custom scene. Expect it to be slightly more practical than Harley-Davidson’s tiny-tanked Forty-Eight model, as the Bobber offers a relatively comfortable riding position, a torque-y 1,200cc engine and an 11.5-litre tank (compared to 7.9-litres in its American rival), which should be just right for longer road trips. Switchable traction control, ABS, an immobiliser, LED lighting, advanced ride-by-wire throttle and the option of heated grips further the ‘everyday’ credentials of the Triumph Bobber, adding to the bike’s appeal for those not ready (or willing) to customise and ride something older and inherently unreliable. However, in keeping with the custom spirit, Triumph claims there are over 150 accessories for the Bobber, including a variety of seat options, clip-on café racer-esque bars and rear fender conversions to tidy the tail. There’s no denying it’s a handsome beast to behold and we’re sure there are many enthusiasts ready to put their own stamp on the machine. We can’t wait for a first ride. Hold tight for prices and a full spec rundown later in the year.